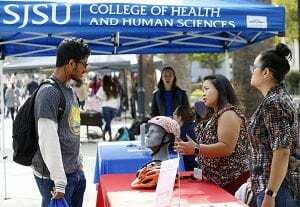 The College of Health and Human Sciences (CHHS) hosted a week-long celebration of health and wellness in October to highlight San Jose State University’s commitment to creating a culture of wellness through its community connections. The second annual Health and Wellness Week was held Oct. 22-26, with booths set up daily to help students and community members learn about hygiene during flu season; handling stress; and managing heart health as well as special events throughout the week such as an SJSU Fitness Challenge, a workshop on bike and scooter safety, and cooking demonstrations. 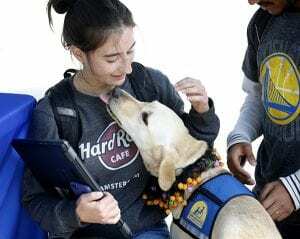 The week of events aligns with both the mission of CHHS to intentionally promote health, global awareness, social justice and innovation as well as the university’s participation in the Centers for Disease Control’s Healthy Campus 2020 initiative. 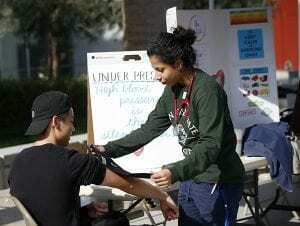 “The opportunity to leverage this initiative with a celebration of health-based community partnerships that focuses both on internal as well as external wellness initiatives is exciting,” said Mary Schutten, dean of the College of Health and Human Sciences, “And this is really what the college is seeking to do, positively impact the health and wellness of our communities. It was a great week of collaboration and fun. 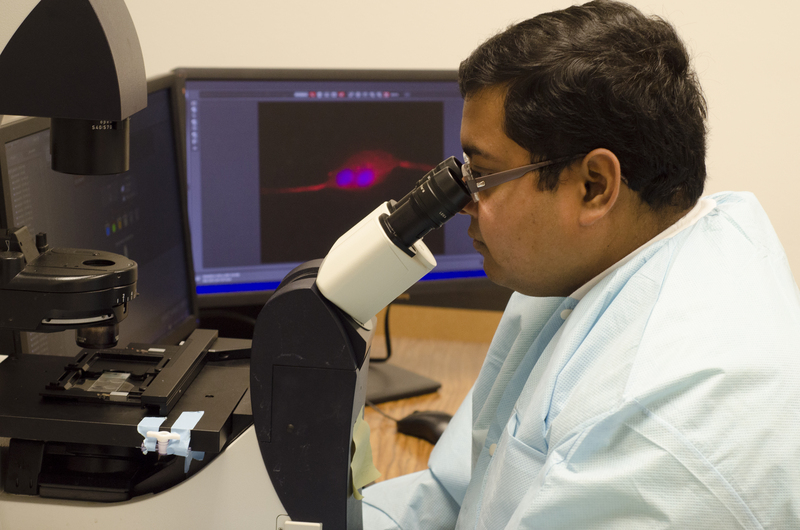 Dr. Amit Saha, a lecturer and research scientist in the Charles W. Davidson College of Engineering, has co-authored an article that has been published in the Biophysical Journal, which is a leading topical journal in the field of biomechanics and biophysics. Entitled, “Cholesterol Regulates Monocyte Rolling through CD44 Distribution,” the interdisciplinary publication includes contributions from other researchers, namely Dr. Pawel Osmulski, Dr. Shatha F. Dallow, Dr. Maria Gaczynska, Dr. Tim H. Huang and Dr. Anand K. Ramasubramanian. The researchers undertook this study as part of a National Institutes of Health grant focused on discovering the contributions of bacterial infections to heart disease. According to Saha, atherosclerosis, which may lead to heart attack and stroke, is the thickening of blood vessel walls due to the accumulation of ‘fatty’ cells or foam cells. The foam cells are formed when a certain type of white blood cells called monocytes enter the blood vessel wall, get stuck, and take up a lot of cholesterol. As it can be imagined, the first step of this process, namely the ’touch down’ of monocytes from flowing blood to vessel wall, is extremely crucial. The efficient capture of fast moving monocytes is brought about by interactions between proteins on the surface of the monocytes and on the surface of endothelial cells on blood vessel wall. “In this research, we have shown that cholesterol levels on monocytes can redistribute the proteins mediating the interaction, thus providing efficient brakes,” he said. The study shows that cholesterol, a well-known cause of atherosclerosis (a thickening of blood vessels walls due to the accumulation of ‘fatty cells’ that may lead to heart attack or stroke), can significantly influence the disease initiation and progression by a mechanism that was not focused on previously. The results demonstrate that chemicals can change the course of biological phenomena by altering the underlying physics.